We had a nice clean room. The bathroom in the petite double was pretty small but if one person was in there at a time it worked ok. The staff was attentive. Great location, but needs a refresh. Breakfast was great. Where to find Teangue hotels near an airport? Where can I find hotels in Teangue that are near tourist attractions? Planning to visit Inner Hebrides and Isle of Skye? Do you want to reserve a hotel conveniently located near downtown Teangue? 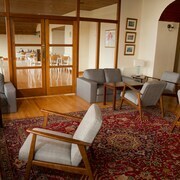 Within a 0.1-kilometre (0.06-mile) radius of the heart of town, you'll find 2 Expedia-listed apartments and hotels. 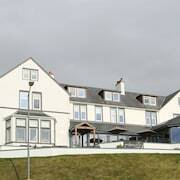 A terrific option if you would like to stay close to the middle of Teangue, is the Toravaig House Hotel. 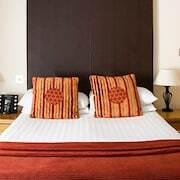 The Duisdale House Hotel is located 6 kilometres (4 miles) away from the heart of Teangue. 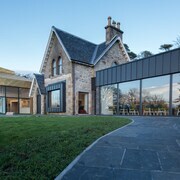 Another hotel is the Toravaig House Hotel, which can be found 0.4 kilometres (0.3 miles) away. Alternative options include the West Highland Hotel and the Kyle Hotel. Isle of Eigg is 30 kilometres (18 miles) to the southwest of Teangue and is home to the An Sgurr and Galmisdale Harbour. 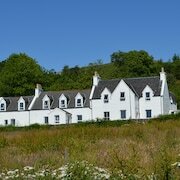 If you'd like to stay in Isle of Eigg, check out the Glebe Barn Annexe - Tigh Ard Beag and Glebe Barn - Hostel. 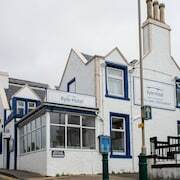 Or, you could consider staying in Tobermory, 55 kilometres (35 miles) to the south of Teangue, where you can choose from the Park Lodge Hotel and The Western Isles Hotel. Should you choose to stay in Tobermory, make sure you visit the Ardtun Peninsula Leaf Beds and Mull Theatre. Just because you're traveling, doesn't mean you can't enjoy your love of sport. Atlantis Leisure is 80 kilometres (50 miles) to the south of Teangue. 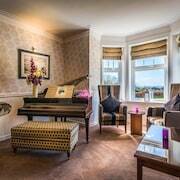 Stay right near the action at the Best Western The Queens Hotel or the Oban Bay Hotel. Teangue is blessed with some great attractions for visitors and locals alike; discover more by spending a little time at Expedia's informative Teangue travel guide. What are the most popular Teangue hotels? Are there hotels in other cities near Teangue? What other types of accommodations are available in Teangue? Explore Teangue with Expedia.ca’s Travel Guides to find the best flights, cars, holiday packages and more!